Sydney Shop Girl: Sad News Near and Far. On the Fringe. Orlando 2.0. Sad News Near and Far. On the Fringe. Orlando 2.0. A bit of sad news to begin with today. The explosive fire in Rozelle and the unfolding tragedy of three young lives senselessly lost was horrible news to wake up to this morning. This afternoon's press conference was one of the saddest news broadcasts I've driven home to. Life was going on as usual for thousands of commuters across Sydney while two families were having to come to grips with the deaths of loved ones and the manner in which they died. Rest well, Joan. Fashion Police will not be the same without you. Thank you for making me laugh when I know I really shouldn't - at celebrities and not with them. I've been reading the tributes to Joan Rivers from her peers and they have all shared a reference to her great kindness to others as well as to her need to make those around her laugh. Her daughter Melissa has spoken to the media telling them that her mother's final wish was that 'we return to laughing soon' and through this incredibly sad time for her and her son, I know that there will be many memories of her mum that will make her do just that. I found this meme in my Facebook feed this morning that sums up Joan's spirit and take on the cycle of life. Might be time to be a bit more upbeat. How has your week been? It's been another hectic one for me. Places to be, things to do. I spent a good proportion of yesterday grappling with the safety gates at daycares. We've been visiting a few in preparation for next year and I think I've found the perfect one for Toddler SSG. Two of his buddies from Mother's Group are enrolled and the backyard play area features a chicken coop and a landscaped playground that Toddler SSG took to the moment he walked out onto it. The last couple of years have been about being at the mercy of waiting lists that you seem to have been on forever yet never seem to get to the top of. Interspersed between the waves of waiting list highs and lows have been gnawing thoughts about being a bit relieved something hadn't come up and then thinking that perhaps some socialising within his age cohort could be a good thing for Toddler SSG's high spirits and love of adventure. Which then lead to, you guessed it, a bit of guilt at feeling guilty for feeling guilty and relieved. Is there anything you don't feel guilty about as a mother? Walking in and finding the right daycare yesterday has definitely been a step forward. All that remains is to give it a go in January. And to let go of the working mother guilt issues. When I haven't been feeling conflicted over childcare this week, I've been shopping my wardrobe and finding things I really should be wearing more often than I do. I'm still keeping the faith in spring even though the weather seems to have given up on it for the moment. Colour and patterns have been on the agenda this week. Love a bit of Missoni to brighten up a sensible outfit of a black pencil skirt and heels. It's only a matter of weeks, ladies, until Missoni for Target launches. And I repurposed this Boho silk shift dress from Zara's first ever Sydney drop with my trusty Banana Republic military jacket and some black opaque tights in the manner of Sienna Miller in her Jude Law era. Black opaques and spring frocks are a combination that'll never get old for me. Now that my locks have new layers and a fringe in them, I've had to stock up on headbands for the gym. I got four of these Scunci headbands for $10. They seem to be doing the job as well as the ones from Lorna Jane that cost $10 each would do plus I do look perkier around the eye area when I hit that treadmill at dawn o'clock. I just like safety in numbers when it comes to hair accessories. They always go missing on me. Which is why I needed backups for my backups and got this $15 pack of Scunci headbands and lackies from Costco yesterday. The fluorescent colours will hopefully ensure I'll be able to find them at the bottom of my bag even when lighting conditions are less than optimal. And now for some exciting non news, non working mum, non wardrobe news…. This is what Google Images tells me that the Loews Portofino Bay Hotel At Universal looks like. And why do I care? Because my flights got confirmed today and I've made a donation to the ESTA people over at the US Department of Homeland Security to authorize my travel. Orlando 2.0 is going to be happening in seven short weeks and by the looks of things, I'll be spending many an evening on an American vision of a piazza whilst an opera singer serenades the night. Not only is the hotel a vision of Italy via theme park centric Orlando but it's also strategically situated near Universal Studios some excellent shopping. Don't start hating on me just yet. Work features heavily in the seven week lead up to my departure on QF 0007. Starting with this weekend. I'm determined to get through it (the weekend and the seven weeks) with as much good humour and enthusiasm as I can. Whinging just seems to make it all that much more painful. Though I may live to regret holding myself to that last sentence come Monday morning…. Besides work, this weekend looks like another indoorsy one. With a captive audience of Toddler SSG, I'll be crayoning for the both of us and doing my best to make sure he doesn't eat more than one sliver of each crayon he puts into his mouth. Do you reckon there's fluoride or a similar tooth friendly mineral in your average Crayola Dry Erase? I hope so. 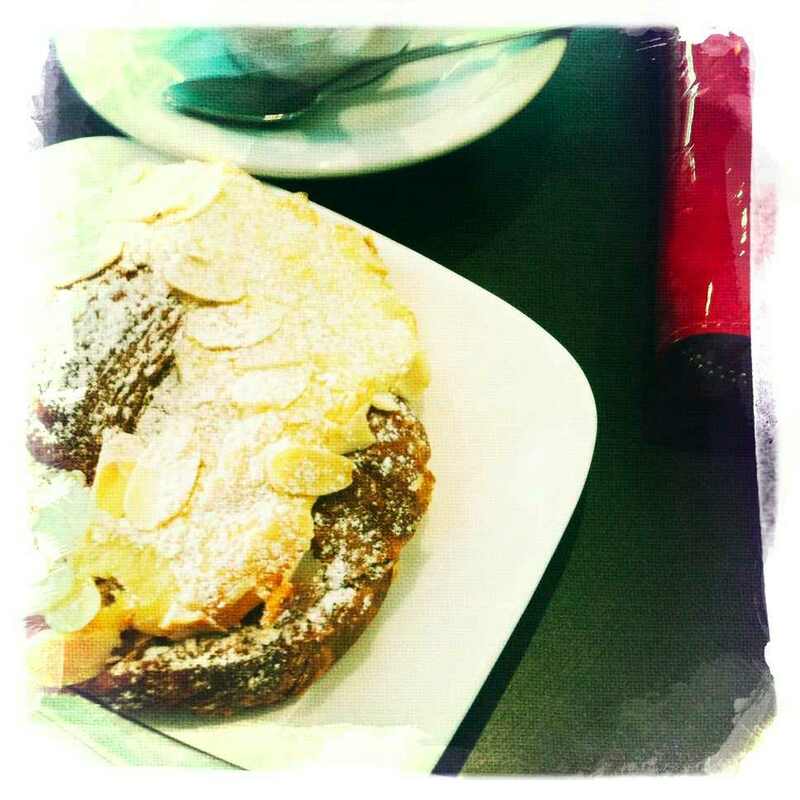 And yes, I'll be ducking off at some point for a coffee and an almond croissant at Cavalicious. Congrats on winning a Ryde Local Business Award for best bakery in the area, guys. That's all from me tonight. Oh i always thought Baby/Toddler SSG was in childcare already! Orlando 2.0.. gosh darned it bliss. I hope you finish what you need at work to go on this trip.